Last September, the first motorcycle photography contest organized by PauTravelMoto took place. It had a very good reception, with 127 photos presented, of all kinds of trips and motorcycles, from which 3 winners were chosen, an extraordinary prize and 9 finalist photos. The awards ceremony was held during the Motoviajes 2017 event at Ace Café in Barcelona. You can consult the minutes of the resolution of the contest. Then we leave you the winning and finalist photos, hoping that they will inspire you for your next trips. This summer I made the route from Barcelona to Samarkand, crossing such incredible countries as Turkey, Georgia, Azerbaijan, Kazakstan and Uzbekistan among others. 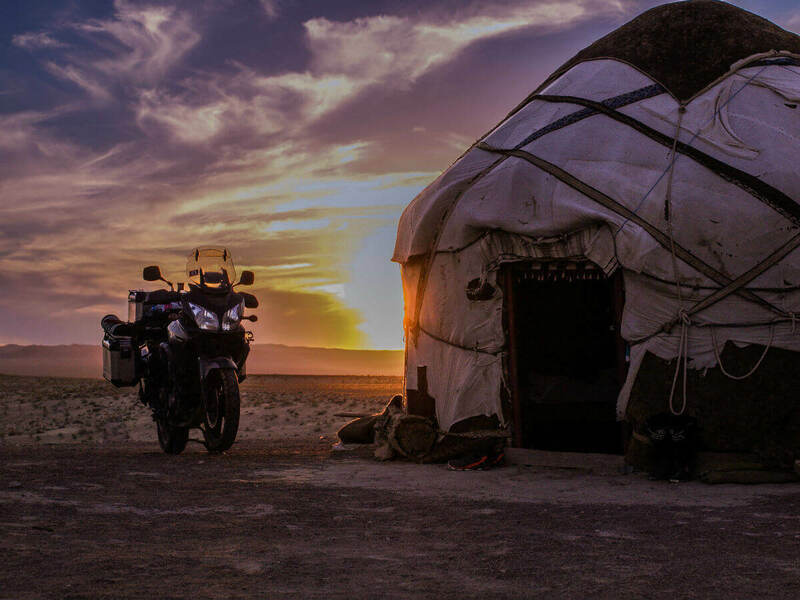 It was during this summer that among the many experiences that I acquired I was able to camp in the sea of Aral (now desert), to share Yurta with nomads and to cross places that I could never have imagined. If I close my eyes I can still see and smell the landscapes of the Yukon territory, very close to the border with Alaska. Reaching the city of Dawson City, a city that attracted tens of thousands of people in the late 19th century in search of gold from the Klondike River, after more than 3,000 km of eternal but beautiful roads, has been thrilling (7,590 km). It is a seemingly abandoned station in the Córcega mountains. The photo of the wheel and boots was made in Armenia 37 km from Iran. Paul and I were the first bikers to cross that border in winter.